Not a perfect meal every time but perfect most of the times. This is a place I keep coming back to. Great Sunday roasts from Lamb, Chicken to Beef - perfectly done the way I like it. During the week, the rotisserie chicken is amazing. I also love their bangers & mash and pint of prawns with some special mayo they have made. Yummm.. Once we had the paella - that was not good. Its ran by a Japanese lady and her Western husband (not sure where he is from). There is particular precision with the food - in which you can tell they try their best to keep it tasting good. You have to order at the bar and there is no waiter service. One of my favourite and reliable places to eat. Have not been here in a while so hope its still good. My French friends Caroline married her Blue Man here a couple of years ago due to my suggestion of it being the best French restaurant I have eaten in. They agreed. They have a great selection of wonderful wines and everything I have ever eaten there is amazing. The venision steak particularly memorable as it was perfect and melts in the mouth. Their menu also changes all the time so you always get to try something new. I have never really enjoyed their main courses (lamb shish, sword fish always been dry but lovely mousakka), however, they have such great mezes and starter dishes. Its great to order between 6 -8 dishes and catch up with a good friend over a bottle of Turkish wine in a lovely warm atmosphere. Also love having a Gallipolli Breakfast here whilst reading a good book or writing a letter. Lovely halluomi and bread. 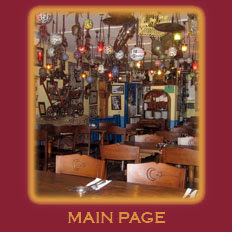 Its not the best Turkish restaurant I have eaten in, the food is lovely but its not the most special Turkish food. I still return very often. The best Turkish food I have ever had in London is here. Its not a pretty restaurant, its a down to earth one and expect to come out smelling like you have been in a Turkish Barbeque Sauna. I was introduced to it by my friend Aggie. At times, you will find me here 3 times a week. The Lamb Shish With Rice is the best one can wish for. Their marinade is supreme and the owner cooks it perfectly over the coal grill..
My other favourite dish here is white bait, their garlic bread is to die for, and also all the other typical starters are brilliant. I have had some disappointing moments here, but sometimes I believe it happens to your favourite places. Stuff happens. Its not easy to run a business, particularly a food business. I always have faith and return because you can see they have great respect for their business. Its always a full house - they look after all their customers very well. I love it there! The BEST roast duck, peking duck, crispy pork belly, barbeque char sui, Fookin Rice, Beef Ho Fun, Cripsy Noodles. Getting some duck & cripsy pork as a take away is great way to feed unsuspecting guests but also excellent for dinner at home. Some other things not so good like Won Ton Soup and most other dishes are good but standard. The best Haddock & Chips - I love it with loads of vinegar and salt and a squeeze of lemon. Eaten there are few times too - very good. Fantastic fresh Pizza! Brilliant Pasta dishes perfectly cooked esp Spaghetti Mare. Meat & Fish Dishes Amazing!!! All very generous portions. You can also ask for something you want that may not be on the menu as everything is done freshly for you - doesn't feel like its made from frozen. Great service and a great place to watch any international football games. Dessert is a must - very difficult to decide which to have. Sway people into chosing all different kinds so you can try how amazing everything they make is! I have never been disappointed coming to this place - I am a very fussy Italian food eater having spent some time there. But every time I come here, I cannot resist a 4 course meal - and always want to die after wards.